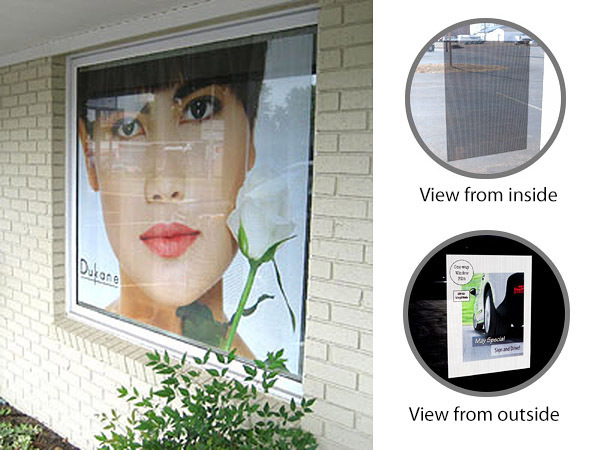 Categories: One Way Window Perf, Self Adhesive Products. Max printable image area is 53 inches. For larger areas, we print tiles to be applied in sections.